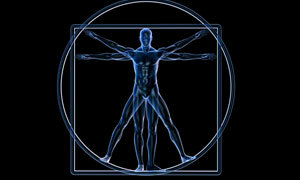 The Total Health Resonance protocols are the complete recipe to restore and then maintain vibrant health. Without your health, quality of life can suffer greatly. Today’s alarming epidemic of health challenges is in great part the result of physiological dissonance --- our bodies being out of tune --- we believe caused by an onslaught of heavy metals and toxic overload, as well as prolonged exposure to EMFs and radio-frequency pollution. TOTAL HEALTH RESONANCE™ Protocols, an alternative and complementary medicine approach, are designed to remove the sources of this harmful imbalance, then making it possible to re-tune the body using our revolutionary, patented UrielTones sound frequency therapy. We believe toxic levels of heavy metals – some of them radioactive – in pesticides, herbicides, in the air, the soil, the water, and our foods are off the charts. Highly disruptive electromagnetic fields and radio frequency waves are virtually impossible to avoid. These challenges can seriously compromise our ability to maintain a healthy balance. Because vibrant health of body and mind is dependent on a healthy electromagnetic field, Total Health Resonance is designed to focus on clearing out anything that could interfere with this optimum frequency, then making it possible to restore the compromised cells and tissues to their natural electromagnetic signatures. Interested in a personal evaluation? Contact us today by clicking here and filling out our evaluation form.